It’s hard to stand out when you’re one of the hundreds competing for attention from visitors walking by. You need to be dynamic and memorable to make a good first and lasting impression. A custom exhibition stand is a brilliant method of getting and keeping the attention of anyone from a distance to make them want a closer look. Humans have shorter attention spans than goldfish. They want to be entertained or informed. Your exhibit stand does the initially crucial part of catching their eye, giving it the opportunity to grab their attention and hold their interest. Keep reading for more ways a custom exhibition stand can take you to the next level and stand out in a crowd. Your custom stand is designed to meet your needs and help you attract and inform visitors is the most effective and attractive way that promotes your brand. There are endless exhibition possibilities for how you catch their attention and display your exhibit. You can deliver your brand or message in a professional, appealing and effective way before your embassadors even open their mouths. Exhibition spots don’t offer a lot of space and you need to maximize what you’re given in every way you can. A folding exhibition stand allows you to display information and entertainment in ways that are virtually impossible or impractical without one. You get branding potential from the floor to the top of the stand. Fabric screens, foldable pop-up stands, and banner displays can make the most of your exhibition space. People love visual content. They’re 4x more likely to respond to a video about a product than to read written promotional information. Dynamic photographs, informative videos, smart branding and intriguing displays can bring visitors to you. 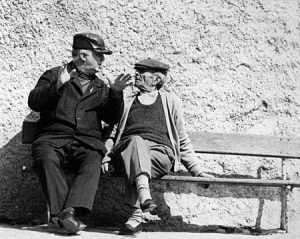 People who would normally avoid eye contact as they rush by to avoid a promotional pitch are drawn in by visual content. 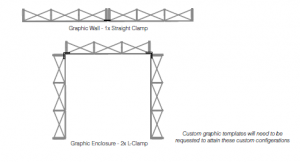 The right display plan can have crowds flocking to you. A crowd draws a bigger crowd and you can’t get a crowd if you have nothing for them to see. Your stand can do most of the work for you. Your brand is visible and presented in a memorable way. You can present information and resources to attract customers and connect. You don’t have to stand on a table and yell into a megaphone to be seen and heard. You have the resources to make your mark without having to say a word. Your custom exhibit stand does it for you. It’s not about thrusting a business card in someone’s hand as they search for free giveaways. Your display can intrigue, entertain and educate. The whole point is to get them to remember your message and creating a relationship. Exhibition displays, demonstrations and customer engagement has never been easier than when you have a custom exhibition stand. Whether you want to walk someone through a demonstration on your newest product or help them sign up for your latest online promotion it can be designed into your display. Technology provides marketing and instructional information while videos entertain and educate attendees. 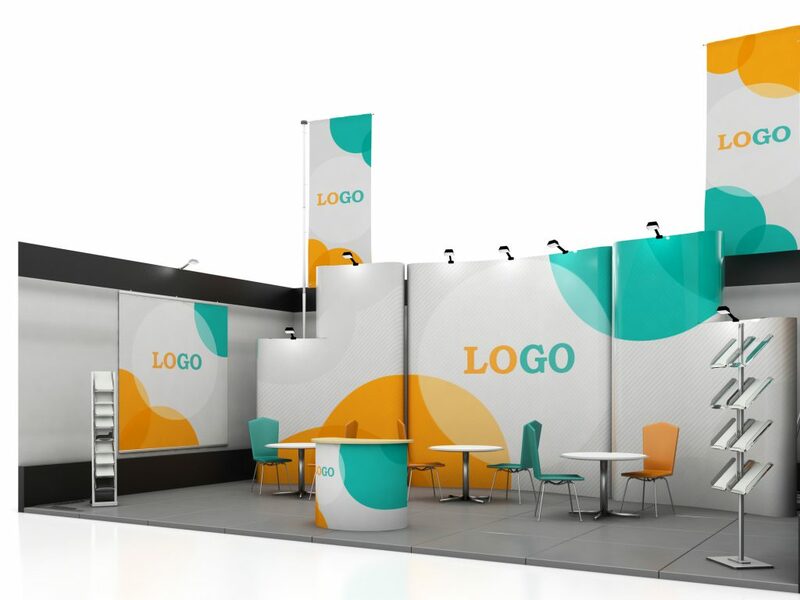 Customer service areas with chairs, required technology, and promotional branding can transform your empty exhibit space into an inviting and engaging space. Interactive displays and entertaining media can help keep the individual and collective attention of the crowd. You’re no longer limited to a table sprawled with pamphlets and printed banners hung awkwardly on the wall as your sole marketing options. It used to be all the hard work was up to the people manning each exhibit. They would have to wave their arms, be aggressively assertive to get someone to even stop. Others visitors nod their head as they wait to politely take your promotional material and move to the next nondescript booth. Folding exhibit stands allow you to get their attention and have an inbound customer interaction rather than an outbound sales pitch. You don’t want to have to beg them to learn more. You want them coming to you and the right display with the right visuals and branding can make that a reality. You can draw them in with colorful displays and strategic multimedia presentations. You can keep them there with dynamic marketing material, engaging displays, and professional staff. A strategically planned and well thought out custom design can offer solutions to many of the barriers to success at exhibitions. There are design solutions to meet the needs of any business or organization and can be a game changer for their success in reaching potential customers. Every industry, every company has a different mission, vision, and marketing plan. 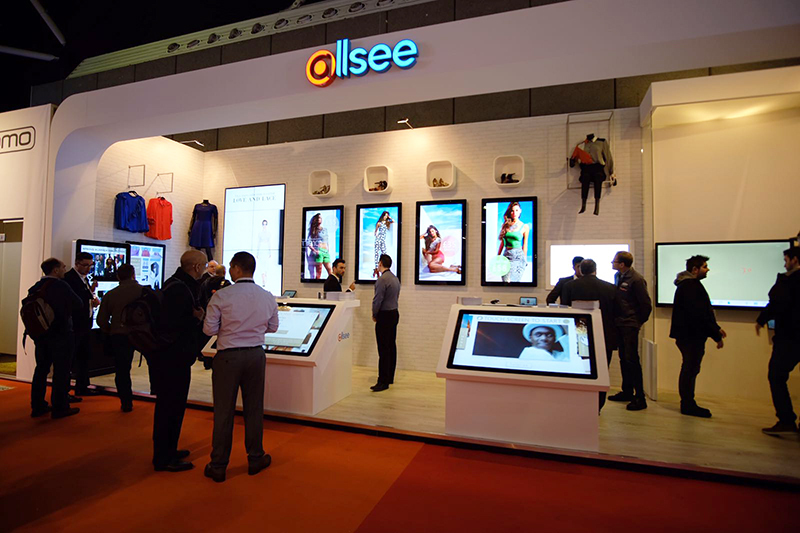 Each one needs an exhibition display that can deliver their message and brand in a fast and effective way. You need to tell a story about your company, your products and services and the reason they need to learn more as quickly as possible. You have about 8 seconds until you lose their attention. There’s a ton of things to see and hear at an exhibition and it’s hard to compete. You need to be able to catch the attention of someone across the room by a visually pleasing and eye-catching display. As people get closer to your vicinity you want to draw them over to your display in search of more information. With a custom exhibit stand, you can deliver photographs, videos, branding, and marketing to a wider area. If your staff are busy with other visitors your display stand can keep the attention of others with interactive demonstrations, engaging entertainment, and promotional materials. This gives you time to dedicate the proper attention to each person who wants to know more about what you have to offer. If you want to stand out in the crowd check out how our custom exhibition stands can help you do it. 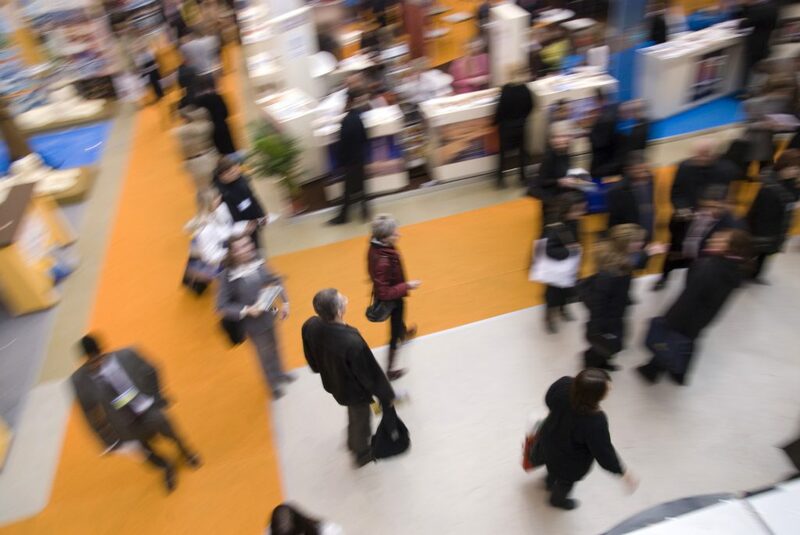 Trade shows, conventions, and other events are a great chance to connect with new customers and show off what your company has to offer. But the downside of this event is that dozens or even hundreds of other companies are doing the same. If you want to stand out, you need a display that draws people in and leaves a lasting impact. 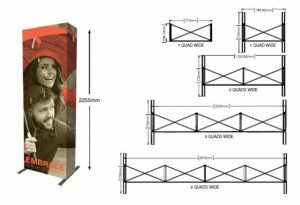 If you’re ready to start designing the perfect modular display for your company to use at your next marketing event, keep reading. We’re bringing you 7 tips for creating stunning, effective displays. When you’re setting up your modular display at a trade show, exhibition, or other events, the goal should be to design a display that stands out from the crowd. While it can be tempting to go all-out, displaying tons of products, options, features, and more can be overwhelming to viewers who have already wandered down line after line of displays. Instead, if you want to make an impact, keep your design simple and clean. This gives visitors a chance to learn your message without getting overwhelmed by information. If you want to make the most of your space without overwhelming visitors, your design should pair a small amount of text with a greater number of visuals. 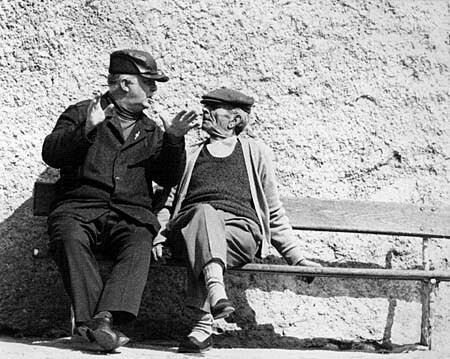 Studies show that when a person hears information, they remember just 10 percent three days later. But if you pair an image with that information, they’ll remember a stunning 65 percent. One of the benefits of a modular display is that you have a larger area to work with. But having more space also makes creating a design more difficult. To make the most of whatever space you have, try to layer your display. Start by placing eye-catching items on the front edge of your display. These items should aim to catch the attention of anyone walking by and draw them into the next layer of your display. The middle of your display should include more information on your company and products. In this area, you could offer demonstrations, include tables for sitting down to talk to customers or any other 3-dimensional items you want to include. The final layer of your display is the back wall. This wall serves several purposes. First, it helps to block out booths or other items that are behind your display that might draw visitors away from your own display. It is also an opportunity to add some height to your display, making it easier to be seen from a distance. Finally, your back wall should include the lasting impressions you want to leave with your visitors. This could be anything from pictures of happy customers enjoying your products to your company’s motto. While you’ll want to take advantage of all of the space that you have in your modular booth to showcase your company, you need to consider human nature when placing your information. Utilizing tall displays to showcase additional pictures or information is great. But keep in mind that at a busy trade show, visitors passing by may not take the time to look at everything. To ensure that when they do look, they see the most important information you’re trying to get across, put this info at eye-level. You can utilize other eye-catching tactics, such as pictures of actual people, to draw attention as well. When you’re advertising with an online ad or billboard, you have to rely entirely on words and images. But presenting at a trade show or other events gives you the chance to do more. Offering demonstrations of your products is one great way to increase engagement. Not only does it give visitors a chance to experience your products off of a print ad, but it can also be great for drawing in passerby who may have otherwise continued past a stagnant display. The last thing you want to do is sink a lot of time and money into designing an awesome display that no one can read. If you don’t already know what the lighting situation is at a place you plan to set up your modular display, it’s a good idea to bring additional lighting, just in case. Lighting your display will ensure that no one continues past it because they can’t make out the pictures or read the information. Just as crowding your display with pictures and information can be overwhelming, so can using too many colors. Sticking to a single color palette with just a few different hues or shades will help give your display a clean, professional look. If your company has a set of colors that it usually uses on its website or logo, this is also great for building brand awareness. One simple way to help keep your modular display simple is by moving your information or demonstrations to a screen. From projectors to televisions to tablets, there is tons of technology that can be implemented into a display to make it more informative or interactive. Use this tech to show off product demonstrations, virtual tours, informational videos, and more. By keeping your design simple, layering your display, considering human habits, and offering ways to interact, you can create a winning modular display that will be a hit at shows. If you’re ready to start designing the perfect display for your company, we can help. We offer a variety of options and designs for displays, from pop-up stands to counters and everything in between. These displays not only look great when fully assembled, but they also fold down easy to make transporting them, storing them, and setting them up a breeze. Contact us today to see how we can help you design and create a display that will help your company stand out at your next event. So you’ve got the chance to have your business displayed in front of hundred of eyes. Great job! But don’t think just showing up to the event will be enough. You’ll need to add some pizzazz to your exhibition stand design to stand out from everyone else. Do you know how to make your business one of the highlights of the exhibition? If not, don’t fret. We’ve got you covered with seven tips to help you out. Check out these tips below if you want to make your stand the center of everyone’s attention. Having posters, signs and panels that are people can’t see is an obvious mistake you want to avoid. But what are the right sizes for each type of marketing tool that you’ll be using. First, you’ll want to check in with organizers of the event to make sure you’re following size guidelines within your display. The next thing to consider is which signs are for which purposes. For example, if you have a large panel or cutout type of display you may want to use this to attract people over to your display. These types of displays should be at eye or head level of the average height of people in the room. Use the maximum amount of height that the event will allow for with this one. Also, make sure any banners or signs at the table are large enough to be seen across a room. Make the most out of the height and width restrictions you’re given. You should have your branding established before you go to the event. If you don’t, get started right away. Settle on your colors, fonts, and other aspects of your display. This will ensure that your exhibition stand design looks cohesive and well put together. Make sure your logo is high quality and people can easily find it. However, don’t just throw it on any and everything at your exhibit. Plan careful placement for your logo across all your marketing materials. This is very important. Using high quality visuals is one of the best ways to display a company’s products and services. Choosing the best photos to represent your brand is crucial. Don’t use any grainy, low-resolution graphics. It’ll be a huge turn-off for people who can’t out what your pictures are. Invest in the best quality images for everything included in your display. Be sure to use relevant pictures that belong to you through licensing permissions. Be careful not to use any inappropriate, offensive or upsetting photos. Incorporating video and audio helps create great experiences for potentials customers. This is essential for performance products, such as a cleaning or skin care products and services. Use tools for video and audio to bring the presentation to life. There are plenty of apps and programs that you can use for good quality editing if you’re on a budget. Show customer testimonials on a screen and live examples of results. Use the products or candid moments of people using the product or service. Music is another great feature to add. Use upbeat tempos to manipulate the mood of the crowd. Just remember to keep it appropriate and relevant. Take advantage of the opportunity if you’re able to add extra light fixtures. This is another feature that allows you to turn your exhibition stand design into a full experience for visitors. There are plenty of ways and reasons why you should use proper lighting. For instance, you can make your display brighter to see the product or service better. This helps people who don’t have great vision to notice your exhibition. Also, incorporate your brand colors to enhance the effect and bring the display to life more. Get creative with your lighting if you’re permitted! The look of your exhibition might attract people initially, but they may not stick around if they can’t figure out what you’re offering. Your business’ message should be clear and welcoming to your audience. Make sure you present the most important information for potential customers first. Also, make sure you educate them on who you are and the benefits of your company. Your marketing materials should include your slogan and details on your product or service’s uses, benefits, ingredients and what makes it special overall. Your visitors will lose interest if you overload them with information, or don’t give them enough to understand what you’re selling. Hire a professional copywriter to assist with articulating your company’s mission. Get everything proofread and edited to be sure that your copy reflects your company’s message. Create a cohesive theme for potential buyers. Creating a concept for your display helps achieve this, especially if you have a lot of separate ideas that you want to include in your exhibit. Sticking to one theme helps tie things together and keep a singular focus on your exhibition stand design. Consider hiring a branding specialist or strategist to assist with including all of your desired elements without making your display too messy or chaotic. The best way to ensure that your exhibition stand design stands out at your next event is to plan ahead. Avoid waiting until the last minute to put everything together. You’ll need to reach out to organizers as far in advance as possible to ensure that you get all materials within permitted guidelines. Hire professionals to help you with things you’re unsure about and invest in the best quality materials that you can. Overall, keep it simple, professional and fun. Got any tips from your own event experiences? Let us know below! If you need exhibition stands for your next event but aren’t sure what the best option is for you, contact us today. Hosting an exhibition stand at conferences or trade shows can be a cost-intensive part of any marketing plan. To get a good return on that investment, you need more than products or services. You need a stand or booth that will attract people and keep them there long enough to understand your value proposition. Thankfully, there are hundreds of ways to create noteworthy exhibition stands. Here, we outline six that are within the reach of companies of all sizes. It’s surprising how many exhibition stands still don’t include digital elements. Some marketing managers might say that people like a break from technology so staying analog is a plus. But in this digital age, exhibits that only use paper and reps to engage potential customers will feel out of step. To show that your company is contemporary and engaging, use screens to run loops of short videos or polished slideshows. You can also use a screen to display real-time Twitter feeds. This can draw attention and generate conversation, especially if the event hashtag is popular. It’s also helpful to have one of your team dedicated to tweeting about your products and the event to keep the feed active at all times. Consider using free-standing digital signage with a touchscreen to gather feedback or offer quizzes. With so many kinds of exhibition stands available, it’s never been easier to transform the ordinary into unique worlds. Let’s say you sell aquarium gear. Do you think your competitors will have an exhibition stand that doubles as an underwater world? Probably not. Creating a world within your exhibition stand gives your visitors an experience. And, experiences are often more memorable than things. But it takes more than effective use of space to build a world. Staff should be in relevant yet professional costume. The decor needs to be functional and aligned with the imagined world. Games and prizes should also reinforce the experience. Establishing a unique world within the conference requires imagination and a willingness to push boundaries. It can be done within an exhibition stand of any size but has greater impact when large stands are used. Give people a chance to interact with your exhibit booth to help build a relationship with them. There are two kinds of interactivity when it comes to exhibition stands: isolated and social. Installing touch screens with quizzes or choose-your-own-adventure style product information is isolated interactivity. It can be effective for sharing information and getting people to understand how your product or service can solve their problems. Social interactivity often has less of a direct line to your products and services. But it can accelerate engagement through a more dynamic experience. An example of social interactivity at exhibition stands involves word clouds. A word cloud is an image composed of words where the size of each word indicates its frequency or importance. Give people access to a keyboard connected to a word cloud generator. Ask them to type words or phrases related to a theme. It can be serious or playful. On a large screen that everyone can see, display the word cloud. As people type, the cloud will change in real-time. Often major themes emerge and there’s usually a laugh or two. The goal of social interactivity is to generate conversation and a sense of community right there at your booth. There are many ways to make exhibition stands ready for Instagram. The most common and popular, when done well, is the selfie spot. People love telling their followers “Here I am!” so don’t miss the opportunity to get your logo or product in each pic. You can set up a specific backdrop or “frame” for people to take a fun selfie. Be sure to make it clear what hashtag to use. Or, if more than one aspect of your stand is a compelling selfie spot. Put cut-outs of footprints on the best place to stand. This will also help you manage traffic. If you have a mascot, celebrity spokesperson, or well-known executive at the conference, have designated times when they’ll be there for selfies. The best exhibition stands can draw people from across a crowded room. Because of noise levels, music won’t work. Instead, get loud with images. Get high-quality images that relate to your brand or product. Those featuring people or animals are the most compelling. Enlarge them beyond the expected size for the greatest impact. The goal of bold images is to spark the imagination. Consider extreme close-ups or intricate patterns to draw people in. Make sure that tables, chairs, and lights don’t block the view. 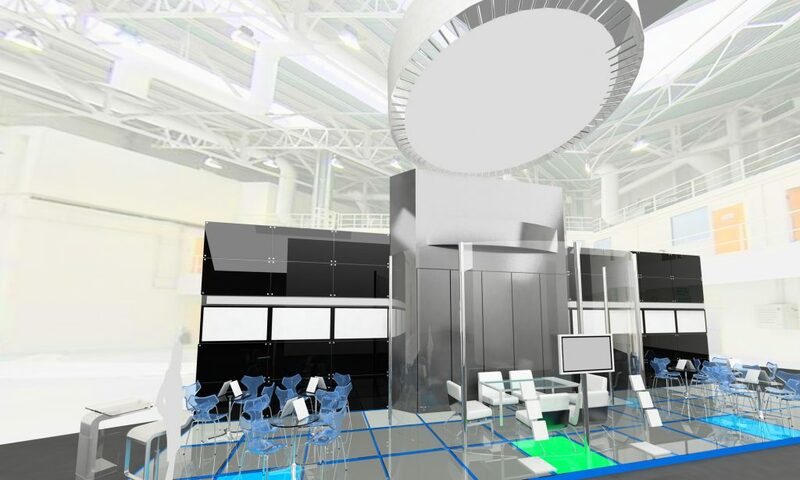 This idea for attractive exhibition stands focuses on what happens at the stand, more than how it is built. Still, it can be used in combination with any of the above. Before the conference or trade show, choose a charity that aligns with your brand. Let them know you’ll be supporting them throughout the event. Your support could be a one-time donation or a percentage of each sale made at the trade show. Some companies give employees time to volunteer with charities that need extra hands. Include information about your donations in event programs and notices. Use stories and images at your stand to show why you’re supporting the charity. Without detracting from your own products and services, help visitors learn about your chosen charitable organization. Being an active corporate citizen can build loyalty among customers. It’s easy to go overboard when creating exhibition stands. It’s just as easy to do very little to make yours stand out. Before spending time and money on a stand, know its potential value to your business. Set useful targets. For example, establish how many leads you need to generate. Or how many units you need to sell on the spot. Plan your exhibit booth to serve those goals. Think about how often you’ll need to reuse the stand and how to keep it fresh. At Pod Exhibition, we offer a wide range of options. Our team of experts is ready to help you find the right stand for your business. Call or drop by our showroom today! Are you tired of renting exhibition display stands for your events? Are you ready to buy your own? Buying the right display for your events includes taking into consideration a whole host of things. You need to take into account which type of display stands suits your goals. Keep reading to find out more about how to choose the right exhibition display stand with our ultimate guide. What Are Exhibition Display Stands? Display stands are an essential marketing tool for your business. They are portable marketing banners to promote your business or organization. Don’t worry if you’re not practical. They’re easy to set up and use. It doesn’t matter what type of business or organization you are. Everyone can benefit from access to a visually impressive and informative stand. Display stands can be useful to attract attention to you at conferences, festivals or shows. Whatever the event, a display stand can make all the difference to you being noticed. No business is complete without a display stand to show off what they’re about. Why Buy a Display Stand? Although renting a display stand for your first show or event might make sense, after a few times, it makes sense to buy your own stand. 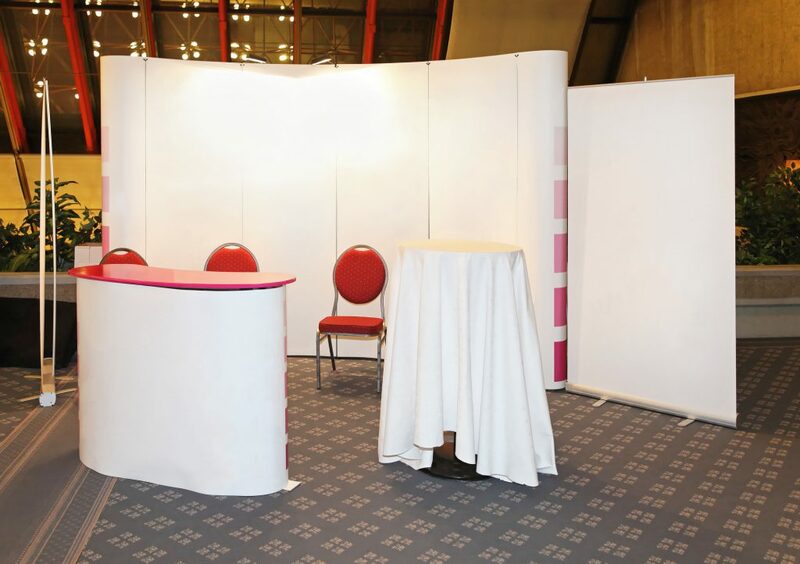 As a regular user of exhibition stands, you may need specific types of stand for each event. While it’s easy to think that renting a display stand for every show makes sense. After all, it’s not too costly. But you need to think in terms of multiple exhibitions shows that you attend. But there are also operational, storage and transportation costs that you have to take into account. By considering these many other costs, you can make an informed choice about whether buying a display stand is worthwhile. Anyone who has booked a spot an exhibition show has heard of the term “preferred supplier”. This usually features in the exhibition manual. This includes references to the various items, including exhibition display stands, that may be required for show attendees with stands. However, don’t be fooled into purchasing your display stand from this “preferred supplier”. It simply means that this particular supplier of display stands have an agreement with the exhibition organizers. While this doesn’t necessarily mean that you shouldn’t purchase your exhibition stand from such suppliers. But rather, it’s important to realize that you’re free to decide who you purchase your display stand from. Even though carrying out research may be a time-consuming and exhausting process, it’s much more cost-effective and time-saving in the long-run. There are many reasons why people purchase exhibition stands. In order to realize which type of stand you require, you need to decide what you’re trying to achieve. After all, the display stand has to meet your requirements. Display stands can be customized to suit you, whatever your business needs. You need to take into account everything from the location of your event to the extent of the foot-fall before you can decide which exhibition display you need. Do you need a display stand for trade show events held outdoors? Or, maybe you require a corporate looking stand for large conference halls? While indoor display stands are designed to grab the attention of large groups of people from across the room. But the outdoor version is great at catching the eye of passers-by. Display stands are also available in a large range of shapes, sizes, and styles. Are you looking for a display stand that’s easy to transport and set up? Retractable display stands may be the best option for you. If you’re regularly using your stand and you’re always on the go, you need a stand that it’s convenient, light and portable. Retractable display stands are also available as double-sided. This allows you to show off to both sides of the crowd. At the end of the day, all you have to do is retract the banner and pack it away into the case. After this, you can easily store it in your vehicle until next time. If you’re looking to make a bigger splash with your exhibition display stand, you may consider purchasing digital touch screens. By providing your customers with an interactive platform, you can really show off what your organization or business does. This allows you to include a greater amount of information and images related to your business. This also allows you to make demonstrations with the aid of video clips on the digital touch screen. After a hard days work, you can pack it up in a carrying case. While digital touch screens are definitely the more costly alternative, they’re definitely worth the investment to wow your customers. The primary point of a display stand is to support you and your colleagues during the exhibition show. This may include helping you to explain something or providing visitors with information about your business. However, it’s important to take advantage of the presence a display stand provides. For instance, make sure none of your colleagues are obstructing the view of the display stand. Otherwise, this could defeat the purpose of the stand. Now that you know what to consider when purchasing your display stand, you can make sure you design the right one for your business or organizational needs. It’s essential to consider how each display banner can help you to grow and attract new people to what you do. Get in touch to find out more about buying your own exhibition display stand. In the world of business, it is becoming increasingly difficult to engage with more customers and create lasting links between companies and clients. 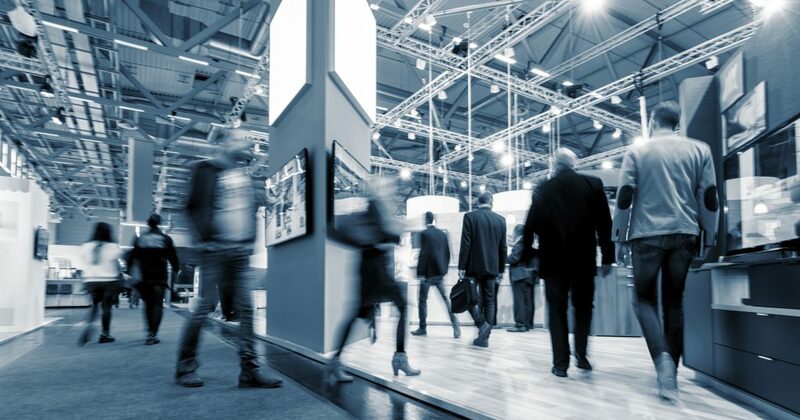 Throughout the year, hundreds of exhibitions and trade shows take place around the country, giving companies the chance to attract more business and promote their service. With so much competition, it can be hard to stand out in the vast crowd of brands and logos. Here are some ways to improve your next exhibition stand and engage with more clients. The most important thing to aim for when setting up an exhibition space is to grab people’s attention and catch the eyes of people passing by. This is where the use of bright and vibrant colour can help your brand get the recognition it needs. It’s important to remember that the colours and graphics you display must represent your brand but be sure to make your display pop so you can initially grab people’s attention and then wow them with your service. You will often find that many company’s stands at exhibitions feature the same layout and a very similar design. 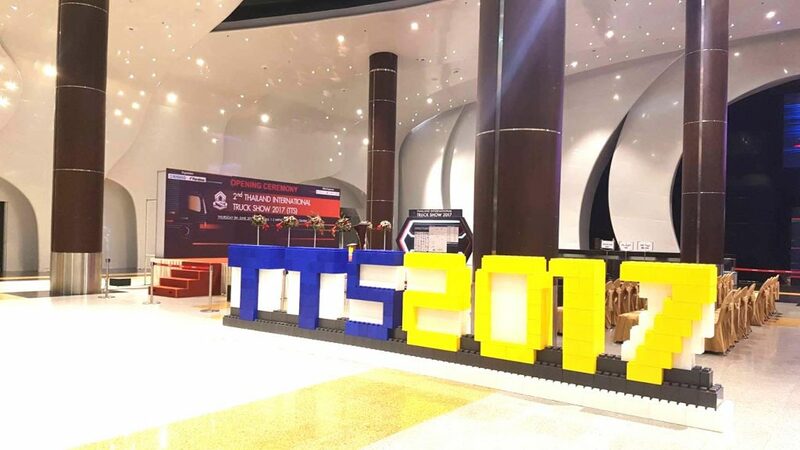 It is always the companies which go above and beyond by creating a unique structure or stand that get most of the attention at trade shows. It’s important to think outside of the box by utilising things such as Modular Building Blocks to create customised stands that aren’t bound by the dimensions of traditional exhibition display stands. Whether you’re a small business with a compact setup or a huge brand with all kinds of products on display, the layout of your exhibition space is very important when it comes to creating a comfortable and enjoyable experience for the consumer or client. Think about the flow of traffic through the exhibition hall and design your exhibit’s layout in a way that provides easy access to all of your material while allowing visitors to move seamlessly throughout your displays without getting caught up. In the digital world, it’s no longer enough to hand out free pens and leaflets if you hope to engage with consumers and peak their interest in your service. There is now an increasing number of ways that technology can be integrated into your exhibition stand in order to attract more visitors. For example, touchscreen displays and mobile phone charging ports are a great way to entice people in and get them involved. The mixture of technology and a creative stand design is a recipe for success. Call POD Exhibitions now for more information. 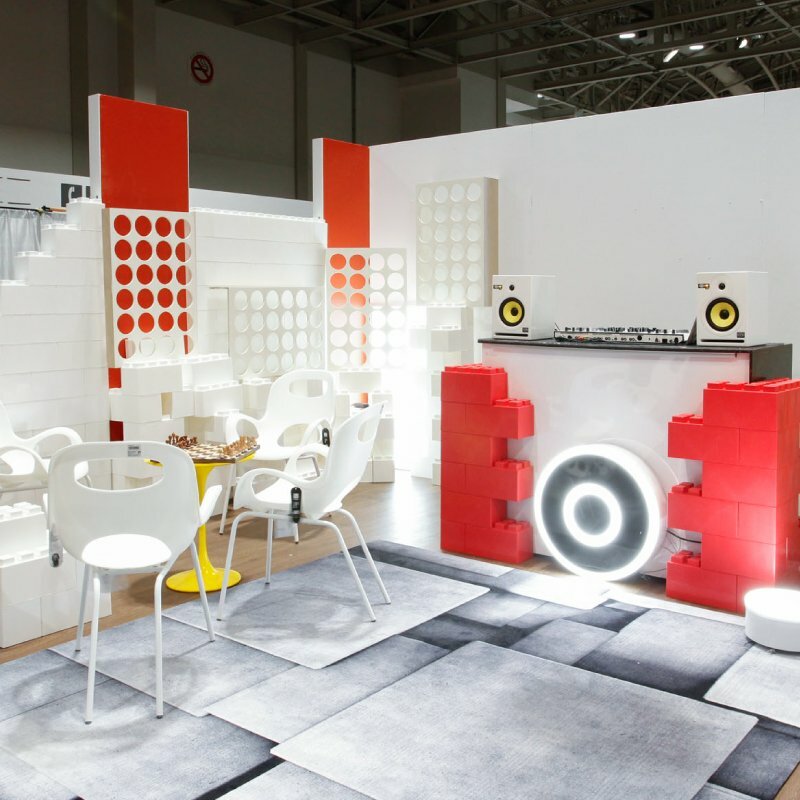 How modular exhibition building blocks can help you stand out. We all want to stand out at an exhibition, but often it is easier said than done. So if you’ve been hunting for a stand for a while, but nothing seems to meet your expectations, why not consider modular building blocks? Flexible and simple to assemble, they provide a striking solution for those looking for an unusual stand. Guaranteed to make you stand out, the only limit to what you can create is you. Well it’s time to unleash your inner child and get creative. 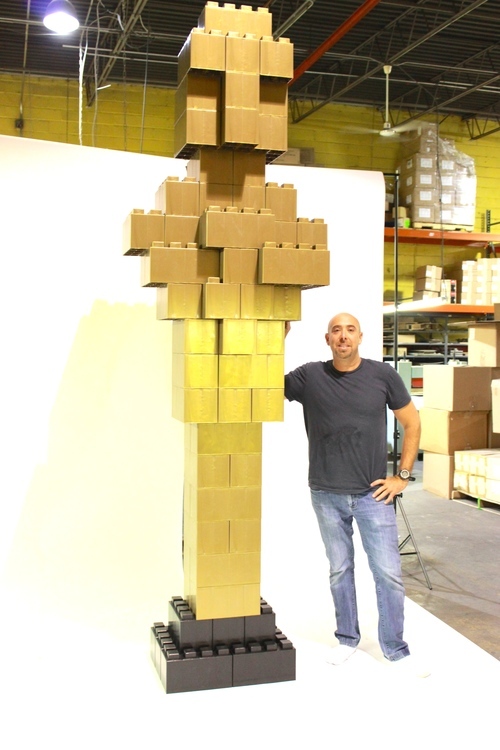 Essentially large Lego bricks, modular building blocks provide limitless opportunities for the creatively-minded. Slotting together like traditional blocks, they make it easy to create exhibition stands of any size, shape, and format. Shaped just like Lego bricks, they clip together securely on top of one another to create a wall of bricks. Measuring 30x15x15cm, you won’t need many to make one side of a stand. Allowing you to create what you want, when you want, modular building blocks have been used to create a whole host of eye-catching structures for exhibitions! Of course there are limits with what you can achieve, but these are probably much more far reaching that you first think. You’re not limited to blocks and squares after all. You can create sculptures like houses, people, and even mock awards with ease to add a bit of interest to your stand. Making you instantly recognisable and enabling you to stand out, it is this kind of creativity that can make you the one delegates continue to talk about long after the exhibition. In short, no. Costing less than £10 each, they often work out much better value than purchasing a large stand for a show or event. Of course, the pennies do add up with the more you buy. Can I use them again? Just like exhibition stands, modular building blocks can be used time and time again. However unlike many exhibition stands, they won’t date. So should your branding change or you change your offering, you’ll still be able to keep the same blocks. Modular building blocks come in a whole host of colours to suit all needs. From black to red, orange to purple, and white to gold, we guarantee you’ll not be left wishing there were more options. So go on, try modular building blocks for your next stand! To find out more about individual modular building blocks, click here. Alternatively, browse our modular building block section. The NEW Embrace Tension fabric pop up display stand is a new innovative fabric pop up system with its unique design offering a sleek, collapsible display that delivers style and substance with minimal effort. The Embrace is a pop up frame featuring a new push fit bar system that creates an external channel around all four edges of the frame. When erected it provides a fitting point for the Graphics Panel. The Display Polyester graphic is a Silicon Edged Graphic, which push fits into the edging channel to provide a drum tight display front and sides. In terms of where this sits in our range of our Tension fabric graphic solutions. 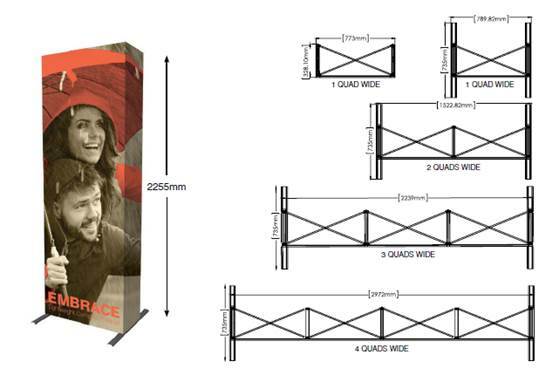 It is a a cross between a fabric hop up display stand & a fabric vector frame exhibition stand. The frames are sold in the following standard configurations only, no custom sizes available. The system can be supplied as a double sided display stand too! You can also join frames together using one of our special joining clamp components. We recommended minimum 2 per join, ideally 3 are required and they come as 90 or 180 degree (straight) joints. The frames are sold as complete kits, and supplied in a wheeled bag, with a frame, bars for single sided use and a pair of stabilizing feet. Please note we carry stock of spare nodes, locking arms, bars, feet and frames which are unique to this product. Designed Graphics should be supplied to us as print ready PDF files and /or we can design your stand on request. Call 01933 411159 for more information. If you would like to upgrade to a hard case then we would recommend the Atlas, Elipse Plus or Zeus case which are capable of transporting all sizes along with a wooden folding top should you require a case conversion. You can add a digital TV pop up screen mount to an embrace frame. You will need to specify this at time of ordering or purchase one of our TV Embrace stands. You will also need to where you want the cut out in the graphic to allow for the screen to be fixed onto the VESA mount. Lights can be added directly onto the top node without the need for additional light fittings, suitable lights are the PS1000/PS1060/LED Flood & LED strip. Please call us on 01933 411159 or email us to discover how this new hybrid popup exhibition stand can help you and your company or business display more effectively. It really should be a pleasurable experience, for not only you, the exhibitor, but also the visitor. You will be in a better frame of mind as the person on the stand, who is talking, engaging, helping, involving clients, if you are enjoying yourself and feeling proud of what you have around you and the point s of engagement. On the other hand the visitor who has made the effort and even paid to come to the event needs to enjoy the experience of being on your stand. When you need to remember a main point and information needs to be retained in a written or spoken format, Illustrations are used so the information can easily be recalled, the point made and it can be applied and therefore be useful. The same is true with your exhibition stand – it needs to be recalled to mind easily, with the main point of your stand dancing in their head, engagement on your stand does this. The most memorable exhibits you can probably remember now, probably offered you the best memories. Perhaps a great coffee, really happy staff. Maybe there was a fun game you played. Perhaps you learnt something really interesting or just sat and chilled on an extremely comfy sofa. It’s not necessarily all about the quality of the stand but the engagement once your visitors are in it. It’s obvious but so vital to use as many of the 5 senses as possible. For instance smell – coffee, new car leather, fresh bread – What is a favourite smell that you could transport to the show that would enhance the visitor’s experience of your stand. An example that can be cited is of a well-known travel agents exhibitropicaltion space which transported you (or your nose anyway!) to relaxing or fun holiday times by using the smell of sun cream ! Also consider the show as just one part of the bigger company marketing campaign –What do I mean. Well if your show is in April, use opportunities before and after the show to promote, enhance and continue the theme of your stand or show. Think of it as a whole year, the campaign, pre and post show and not as 3 days of the show. Engage people throughout the year via social media, emails, functions, website promotions etc. How can you involve and entertain visitors to your stand? People really do like to play games; it’s usually a long day at a show people want to be entertained, so to play is a basic human need that we all did a lot, as a kid, but probably not so much now. However, it brings out emotions, it connects us to good memories and feelings and that’s what we want. have fun“Fundamentally People love to play and win” – let them. In addition fun content, interesting trivia and small bytes entertainment media, it’s not classed as work. In today’s fast paced environment it’s the norm to want on-demand-entertainment in smaller chunks. People now download a song rather than an album, a 30 sec video rather that a film. Generally, our attention span is dwindling so it’s important to match the engagement we show to the times we live in. Have a look at our “big lego blocks” which people love to play with. Perhaps to create a unique structure, tower or even a small puzzle on your exhibition stand! get you r message across too and put your branding, message or details on the blocks too! How many times have you complained about someone treating you unprofessionally or being unhelpful? We all expect to be treated correctly and it makes a big impact when customer service and manners are lacking in social interactions. The person that sells the best is the person that is motivated and well trained – Your initial 30 seconds make the main difference to whether a person is going to be interested or not. Engagement is only ONE way in which POD Exhibitions can help support you deliver the Best Exhibition Experience at your next event. This is the first of 5 articles. The next article will show how Creativity can play a vital role in delivering the best experience at your exhibition. Our folding panel kit range has grown with the introduction of new bright colourful panel kits in the Busyfold range of portable display board kits. All the usual benefits of a portable folding panel kit but now in bright contemporary colours. The Colour Plus Busyfold panel kits range is available in two different panel sizes – 900x600mm or larger 700x1000mm panels. Each system has a choice of frame colour in black or grey and 6 fun bright vibrant fabric colours in apple green, cyan, lilac, magenta, orange and purple. Folding Display Board Kits are a cost-effective way to exhibit. Panel folding kits are a lightweight yet robust display and can be set up in seconds, making the folding display board perfect for use on a small exhibition stand. Foldable lightweight exhibition panels are very easy to collapse and then be reassembled by just one person with no need for tools. Display boards are a great solution as office dividers and screens. If you are looking to create a booth, separate an area for display purposes or have a display board as a screen to divide a room, tall display panel kits are a cost effective and user friendly solution. For that extra impact in the showroom or office, jumbo display stands are perfect for displaying huge posters or charts. Display board kits are a popular choice for schools, universities and colleges. Panel Display boards are a popular choice for end of term displays, careers information and graphics.